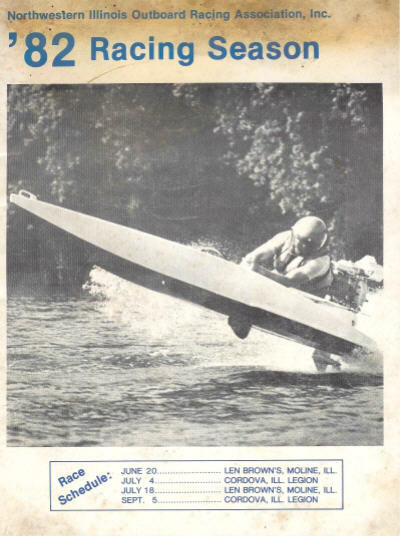 Back in the 70's and 80's I raced with a local boat racing club called N.I.O.R.A. 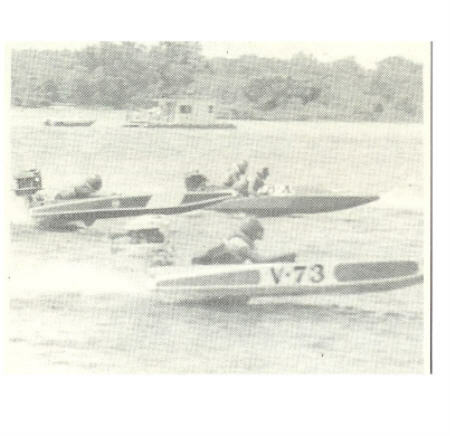 (Northwestern Illinois Outboard Racing Association) . 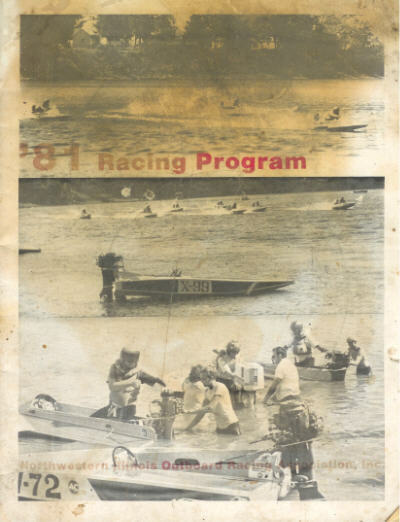 from old club race programs. It was pretty much a run what you brung club. We all had a lot of fun in this easy going club. 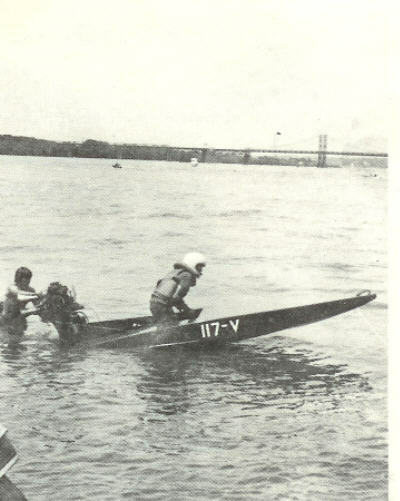 One thing that really made it exciting is the fact that we raced usually in the main channel of the Mississippi river! The Coast guard made sure no pleasureboat traffic came through our race coarse. But they could not stop traffic on the other side of "The big muddy". 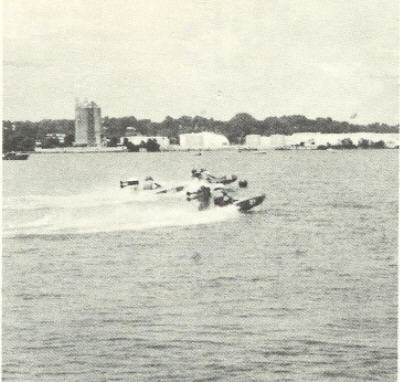 Nor could they stop the barge traffic that passed by. The result: A lot of wakes going across the race coarse while we raced! Yes there were a lot of boat flips and barrel rolls as a result of this. It sure made for some exciting racing! Did we complain? Heck NO! We were all having too much fun! During the 80's our club membership began to decline. Insurance costs skyrocketed and we eventually had to close down the club. Looking back on those days, makes me sad that it's gone. And times like those are gone forever. 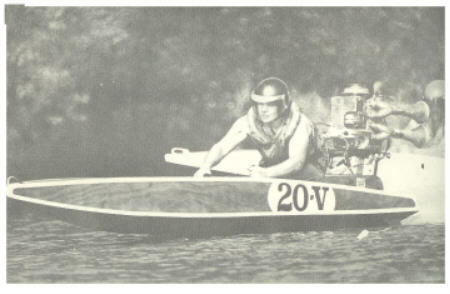 When I was a youngster, my dad built me a little wood runabout called a "Yellow Jacket". He got the plans from a Popular Mechanics magazine. Below is a picture of a Yellow Jacket from that magazine article. I can't find any pictures of my own Yellow Jacket, so I was thrilled to find this article again! 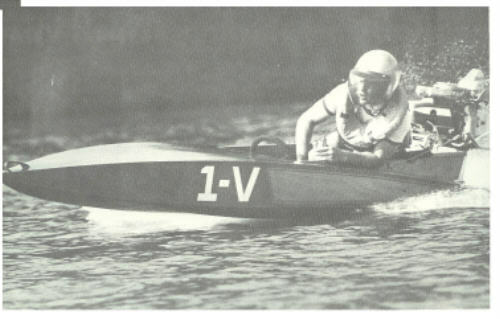 When I started out in the 'J' class I used an old "Martin" motor. Just like the one in the picture above. In the following years I played around with some small "Champion" motors too. But I never won any 'J' races 'till I started running a Merc KE-4. After I outgrew the 'J' class, all those old motors were converted back to original condition and sold to fishermen. 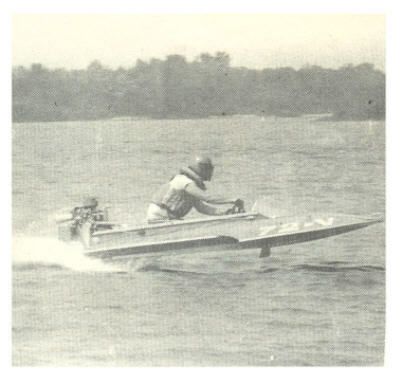 If you are looking for old boat plans. Here is where I found my long lost Yellow Jacket plans. There are many other old plans at this site also. Click the link below to check it out.